Farming and gardening activities involve direct contact with various plant species. While most plants are harmless, there are certain plants that can cause varying degrees of skin irritations and injuries. Some people are more sensitive to certain plants than others. It is important to identify potentially dangerous plants and know how to avoid contact whenever possible. When contact is unavoidable, certain precautions should be made both during and after contact to minimize the severity of reaction or injury. Generally, there are five categories of harmful plants: poisonous plants, allergenic plants (and plant parts), skin-irritant plants, stinging plants and thorn/prickle plants. 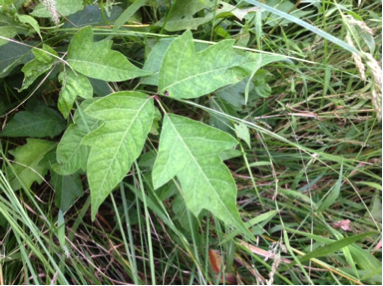 Poisonous plants include poison ivy, poison oak and poison sumac. • Plants in this category contain urushiol, a toxin that is present in the sap of the plant. 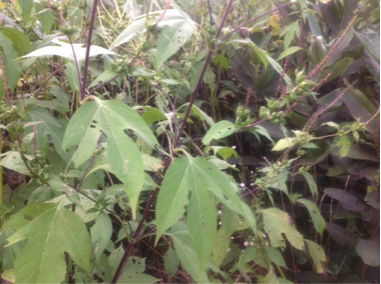 • Touching these plants can cause skin rashes and blisters. Allergenic plants (and plant parts) include orchids, tulip bulbs, chrysanthemums, ragweed and dahlias. • Plants of this type can trigger allergic reactions in some people. 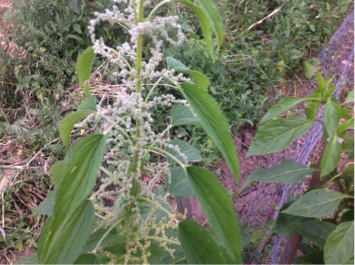 • The pollen from these plants can cause hay fever or asthmatic symptoms. Skin-irritant plants include poinsettias, daffodils, hyacinths and buttercups. • These plants can cause mild skin irritations such as redness and itchiness. Stinging plants have nettles, which are stinging hairs. • Touching a nettle can cause a toxic reaction, but the reaction does not last long and has no lasting effect. Thorn/prickle plants include thistles, roses, blackberry and raspberry bushes, and locust and hawthorn trees. • Thorns can penetrate clothing, gloves and shoes. • Infection can result from an embedded thorn. • A scratch can lead to infection, especially if exposed to pathogens. • Avoid burning plants that might be toxic, because toxins can still be present in the smoke. 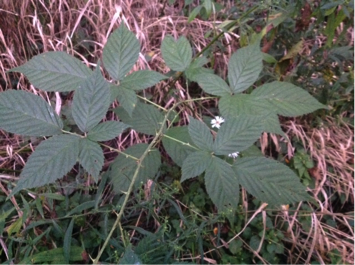 • Be familiar with poisonous plants likely found in the area, and learn how to identify them. • Avoid eating wild berries or plant leaves. • Wash your hands and other exposed skin after handling plants, especially before eating, drinking, smoking or using the restroom. • Wash contaminated clothes separately in hot water and detergent. Clean shoes or boots with rubbing alcohol and water. • Seek treatment immediately if a severe rash or blisters develop. • When handling or working around plants that contain thorns, wear heavy-duty leather gloves and hard-soled shoes or work boots. • Wear eye protection to avoid eye injury caused by walking into plants or being struck by branches or limbs. • Avoid direct contact with the sections of the plants containing thorns. Use a tool or grab stick to pick up or move branches. • Jepsen, S.D., Michael Wonacott, Peter Ling, and Thomas Bean. Tailgate Safety Training for Landscaping and Horticultural Services: Skin Irritations Caused by Plants, AEX-192.1.69. Columbus, OH: Ohio State University Extension, 2006.